WendyZXZ, kraynky, bearcat6 and 19 others like this. WOW!..that is a nice piece. 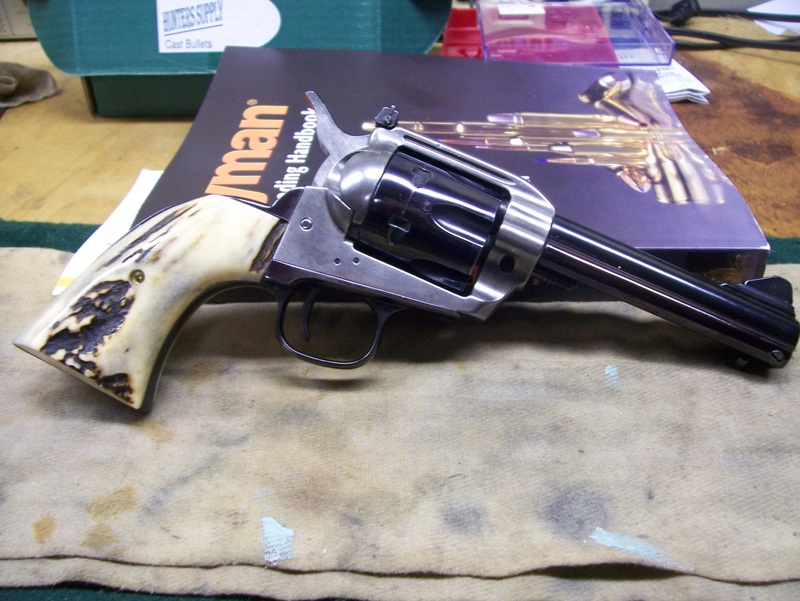 Those ivories look great on that revolver! blitzen25cat and Camarokid like this. I love ivory and disappointed you can’t get it (easily) anymore. Maybe it’s for best. blitzen25cat and Curt360 like this. Yeah, thanks to Obama ivory is about unobtainable. blitzen25cat, Curt360 and Camarokid like this. That, sir, is absolutely outstanding! Curt360, Camarokid and blitzen25cat like this. I do agree, very nice! Next to aged ivory I'm a big fan of Sanbar Stag. The Vaquaro is from 1998 when you could afford them. 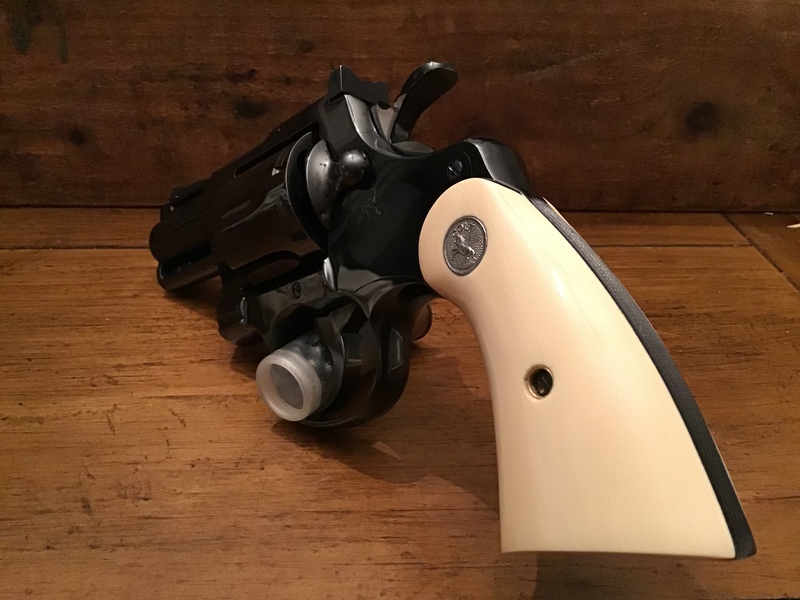 stags, factory and Pachmayr grips. I gave the Pach's to a forum member who was looking for a pair. Camarokid and WendyZXZ like this. Pay attention - it pays to win! 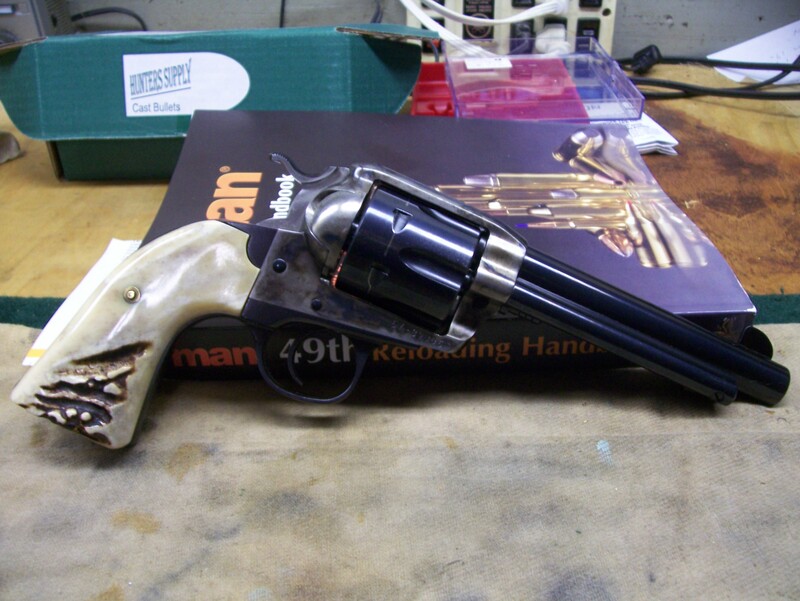 That Colt Python is the bee's knees. I'm not sure what that means but I like the saying. Okay i googled it and stand by that saying. Last edited by ussmanlovede36; 04-09-2019 at 07:08 AM. Camarokid and 3DFORMULA like this. The Python is elegant with the ivory grips. 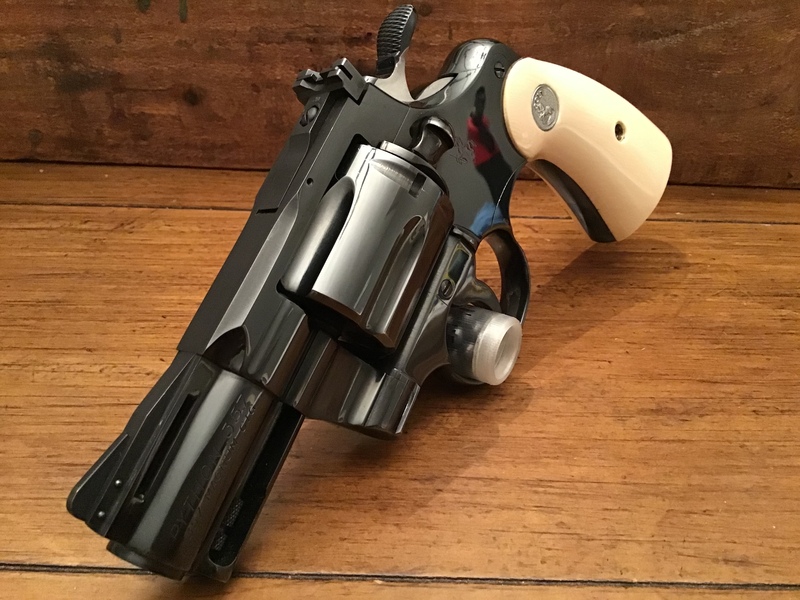 Are the grips synthetic or genuine? 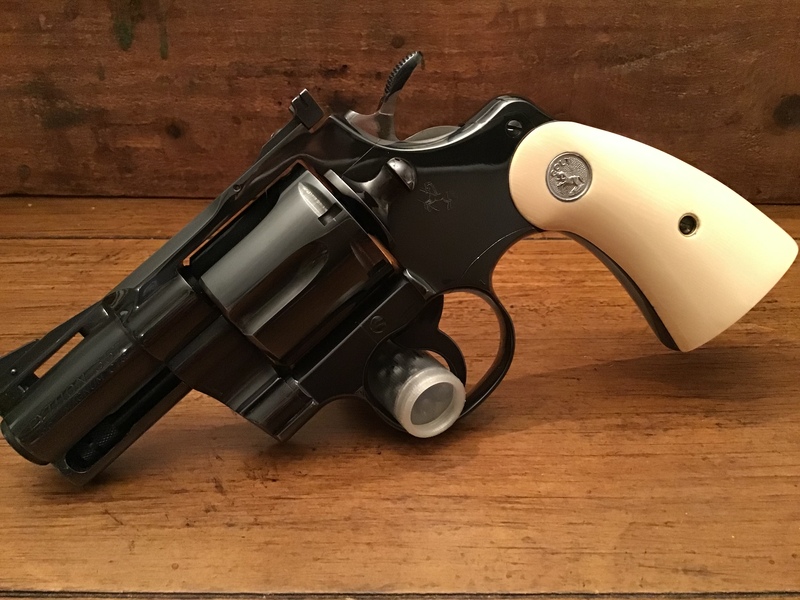 I love the Sanbar stag grips on the single actions. Wish I could put a set on mine.